Changes in Draft Needs – CB Dee Milliner is no longer an option after the signing of two starting caliber corners. 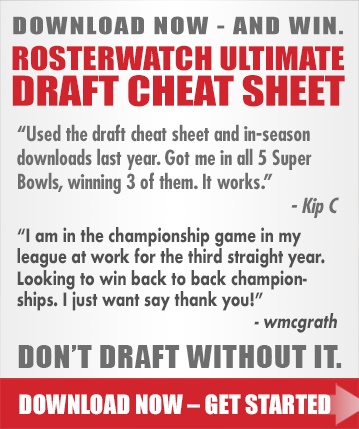 KC would like to trade out and accumulate more value in this draft. If they cannot, it’s a race between offensive tackle and the defensive front seven. Luke Joeckel, Eric Fisher, Sharrif Floyd, or Star Lotulelei (if his medicals check out w/ KC Doctors) are the likely candidates. OLB and athletic pass rushing freak Dion Jordan is the sleeper. KC is pretty stacked across the board and can afford the luxury of developing Jordan. Of other importance, after adding Anthony Fasano in free agency it appears the Chiefs will employ a lot of 2 TE / Single RB sets next season with Tony Moeaki, a talented young pass catcher, already on the roster. Expect Donnie Avery to win the WR2 job. Temper any rising expectations you might have had for Jonathan Baldwin or Dexter McCluster for this year. McCluster will be limited to a gadget player. Baldwin is a WR3. Expect to continue seeing Jamaal Charles explode through the line and knife through the middle of the field. Andy Reid already has a good team and decides to play it safe. He refuses to be held hostage by Branden Albert and selects a top-shelf OT. 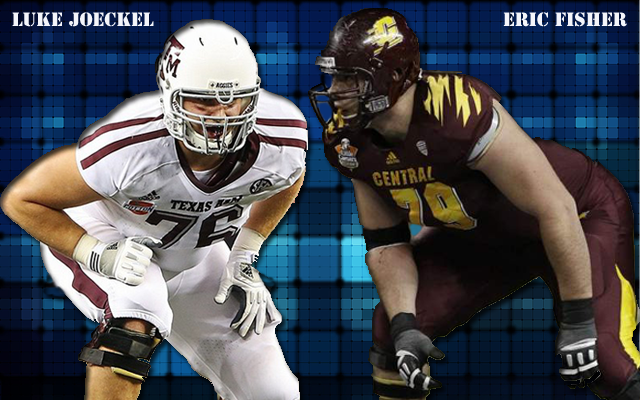 Eric Fisher’s ferocity has catapulted him in to the conversation, but again Reid plays it safe and goes with Luke Joeckel who has been the top rated OT for months and comes off a stellar season in the SEC.